Ceasefire's Classical and Opera critic, Paul Guest, reviews a performance of Rossini's William Tell in this year's BBC Proms at the Royal Albert Hall. Orchestra and Chorus of the Academy of Santa Cecilia, Rome. Rossini’s last ever opera, written for the Paris Opera in 1829, is finally performed in its entirety at the BBC Proms. I was ready for this four hour bel canto extravaganza. The finale of the overture to William Tell is probably the most famous piece of classical music ever written so the cavalry charge gallop is something we are all fond of; Pappano put his foot down and stormed through the finale section of the overture in great succession, it was so fast in fact that I remember watching the violinists struggle with an enormously inconvenient page turn. This is not an easy work, and Rossini demands some tough vocal lines especially for the tenor who has to sing Arnold. This difficulty, however, was no match for the tenor John Osborn who pretty much walked every vocal line with apparent fluency and ease. A true bel canto tenor, he was light and intense in every note. The other singers, notably, soprano Malin Bystrom and Tell himself Michele Pertusi made exceedingly wonderful contributions although I can’t help but feel Gerald Finley (featured on the EMI Classics recording) was missing from the line up. 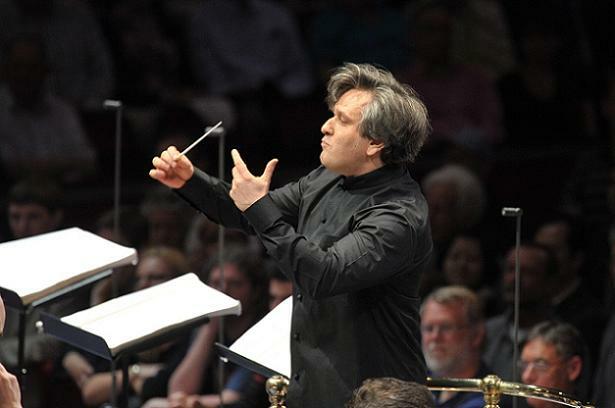 Conductor Antonio Pappano and his forces from Rome were the real stars of the night giving a rousing four hours of orchestral and choral beauty, never has operatic accompaniment been so good. Every member of the Academy of Santa Cecilia is an instrumentalist or singer in his or her own right and Pappano is the super glue that brings it all together in utter triumph to form the Roman army of all classical music. You can, however, see why the opera is usually cut down to more appropriate length cutting many irrelevant parts of the score and narrative. Nevertheless, in this concert form I was relishing Rossini’s ever colourful and exuberant writing. This work is clear evidence of how Rossini adopted a very French style of composition throughout his time in Paris. All things considered, the composer is the biggest winner tonight. EMI Classics released William Tell on the 11th July and is available for download and purchase. The BBC Proms continue until September 10th at the Royal Albert Hall with broadcasts of every Prom on BBC Radio 3. I need a dvd of the childrens prom which took place on 7 December this year. two copies if possible. Do you have any left please?